The function it supports in the demand generation process. Today, I want to focus on what we refer to as the "core" tech stack. 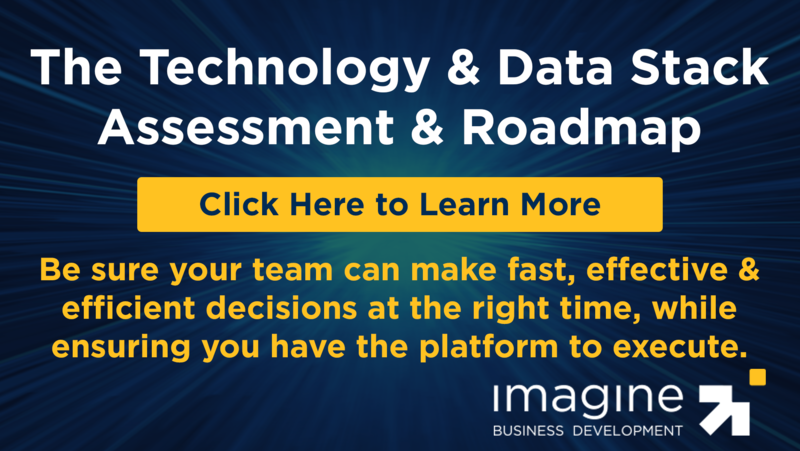 The core stack comprises the technology that is at the center of your processes and efforts. Without these core resources, you would not be able to operate in the manner you currently operate. The core stack represents the technology that you could not live without. What is it: At the risk of offending some readers, if I need to explain the role of CRM or Marketing Automation, you probably aren't ready for the conversation around building your tech stack. Recently I shared a video highlight the key things you should expect from a strong CRM and here's a guide we created a few years ago on choosing the right marketing automation platform (MAP). Why this Technology Should Be in Your Core Stack: Imagine trying to live without a central nervous system. That's the closest analogy I can use for the importance of both the CRM and the MAP. Who We Use: We use HubSpot for both roles. The Crucial Considerations: There is no tactical decision more important that your choice of your CRM and your MAP. These two products make up the foundation of your tech stack and will have major consequences on so many decisions you make around demand generation, sales and marketing. From what you do, how you do it, the number and type of people you hire and how you manage your processes. I simply cannot understand how any company can say they are serious about growth or sustainability, but do not have strong products in these two areas. If resources are a problem, be sure you over-invest in these two areas at the expense of other initiatives. Which product best matches and aligns with our go-to-market approach? What level of customization do we need? Which product fits our needs best today and are also investing in the growing ecosystem of technology solutions so that we can be confident they'll fit our needs in the future? It's built for the user, not the manager or the executive. When I talk with clients who are considering other applications like Salesforce.com or Marketo, I'll ask them whether they want to allocate funds to administering the software or implementing it. HubSpot enables us to get more done, faster and with fewer people. HubSpot is the only legitimate provider that provides both CRM and marketing automation in a manner using a single database. It's beyond integrating, it's one tool. This makes managing and utilizing it much easier. Others Worthy of Consideration: On the CRM side (and especially if you're a larger organization) Salesforce.com is obviously worthy of consideration. From a capabilities' standpoint, there is no CRM better than Salesforce. Another CRM that we like (though I haven't used it for some time) is Base CRM. Base is also building for the user more than the administrator and provides an intuitive, even enjoyable interface. On the marketing automation side, at the risk of sounding like a fanboy, there is no other product that I've seen that beats HubSpot. With the work we do for clients, we're often in tools like Pardot and Marketo, and find them both more difficult and cumbersome to use. Tools like Act-On and Sharpspring give up too much functionality or flexibility. Additionally, HubSpot is focused on becoming a platform so the connect ecosystem they are building is another key advantage. What is it: We only added video hosting to our core designation about four months ago. Where video used to be a complimentary item, it is becoming a vital component of a strong communication strategy. If you’re not using video heavily right now, be sure that it’s part of your 2018 plan. Why is it Important: Let’s start with the obvious. There’s a reason that movies and television are more powerful and valuable than radio or print. Video connects with the whole brain and when done right, has more impact and creates more engagement. A less obvious reason for the importance is that without a well thought out video strategy, you’re going to move further and further out of alignment with how your buyers’ learn, engage, shop and buy. As they cocoon further into their bunkers, your salespeople will need more arrows in their quiver to connect, educate, influence and sell. How you’ll use video in both sales and marketing. What flexibility and integration is needed for your sales team. How will your marketing team utilize and support your video efforts. What types of insights do you want to get from videos. The level of customization needed. How many videos you’ll be producing or utilizing. Why We Use Vidyard: Vidyard was built with the sales function in mind. While most video efforts started from a marketing perspective and have moved to sales, Vidyard was at the forefront of seeing this need and building for it. Vidyard is also built more for the enterprise than small business, so it brings more functionality and flexibility in how we structure the management of video and utilize videos in multiple ways through both sales and marketing initiatives. Others Worthy of Consideration: In addition to Vidyard, we’re also big fans of Wistia. Wistia is actually a simpler tool to use than Vidyard and is a lower cost option for most organizations. What is it: We define core sales acceleration as the primary tool used to increase the velocity, ability and capacity of our sales team to execute the sales function. This includes making calls, sending emails, managing processes and tracking the effectiveness of what is happening. Why is it Important: Research suggests that salespeople often spend 30 - 37% of their time actually selling. One of the biggest time wasters is the time salespeople spend on administrative actions. Therefore anything we can do that eliminates administrivia and enables a sales rep to do more in the limited time they have to sell is a high value action. Why We Use HubSpot Sales Pro: Certainly the native integration with the CRM is a primary reason we use Sales Pro. For the record, we’ve been using Sales Pro since HubSpot announced it as their first sales tool, calling it Signals. Sales Pro combines several important functions into one tool making it easy to manage and cost effective. HubSpot just recently made some material changes to the tool (in both functionality and cost) and I will be doing a full review of this tool soon. The Crucial Considerations: You must understand the actions that make up the bulk of a salesperson’s day. You’ll want to match to sales acceleration tool with the activities that will give your sales team the most leverage. You must also give significant weight to the integration of the tool with your CRM and MAP. Others Worthy of Consideration: We’ve long been fans of what SalesLoft is doing. If prospecting or high-velocity selling is a core part of what you’re doing, you should give SalesLoft consideration as well. I will be conducting a test on SalesLoft in January and will share the results with you in a future post. What is it: The best way to understand what needs to be addressed in this part of your tech stack is to read our post The Most Important Sales Enablement Question for Your Business. Why is it Important: I’d advise you to read the post above if you haven’t already. For purposes of summary, suffice it to say that human observation is among the worst methods for identifying what’s working, what’s not working and when something needs to be adjusted. For general website analytics we use Google Analytics. 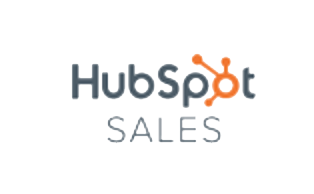 We use HubSpot for a number of analytics around our inbound marketing and sales functions. For website user analytics we use Lucky Orange. For search we use SEMRush. Why We Use These Tools: I could probably write a blog post on each of these. The primary reason we’ve chosen these tools is because of the balance between ease of use, ease of interpretation and power of the tool itself. They’re all easy to use, without having to sacrifice the power of insight. The Crucial Considerations: Here again, the important considerations are highly dependent on the functional area you’re filling. From a big picture perspective, you want to be clear on the insights and data you need to track, integrations and who will be managing the tool (specifically their level of expertise). Others Worthy of Consideration: We’re currently in the midst of testing two additional tools that show promise. One is Atomic Reach, which provides analytics and insights into high performing content, and TrenDemon, which gives insights into content contribution to the attainment of a goal. As we complete these tests, I will share the results in a future blog (if the results are worth sharing). What is it & Why is it Important: It doesn’t matter what you’re tracking or what data is available if you’re not able to easily interpret the data and if you don’t consistently use the data in your decision making. Dashboards and visualization are essential to doing this effectively. Who We Use: In addition to HubSpot, we use Databox. Why Do We Use Databox: Databox is (relatively) easy to setup and use, and it provides highly engaging charts, visualizations and dashboards that can be shared in a number of ways and provide real time insights. Even more valuable are the integrations that Databox has developed. Before using Databox, we’d have to log into multiple tools to pull data and use a series of spreadsheets that were ugly, complex and disruptive to maintain. Now we’re able to access key data from multiple products in one place (and sometimes even in one dashboard). What dashboards do you need to execute your strategy at your desired speed? What resources do you have to develop and maintain the dashboards you want to maintain? How much money can you invest for the tool? Others Worthy of Consideration: Unless you’re in a position to spend a significant amount of money on both the technology and the administration of your dashboards there really isn’t another tool we’d consider. One caveat: if you’re using Salesforce premium dashboarding tool. 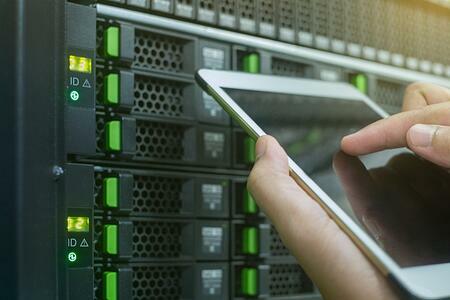 Technology is a tremendous accelerant when utilized correctly. It's a tremendous disruptor and sinkhole when it's not. An strong strategy and approach to building your tech stack will ensure you're getting the impact from the investments you're making.